Thank you for visiting our website. Our full spectrum of services are dedicated to help our patients support them in their decision to stay home. Lipet Home Care, Inc. is made up of a staff of brilliant, compassionate and skilled personnel who will be there to help you every step of the way. Lipet Home Care, Inc. is a locally owned and operated Home Health Care Agency serving the Dallas-Fort Worth Metroplex. We are licensed by the Texas Department of Health and certified by Medicare. At Lipet Home Care, Inc., we aim to partner with our client, their family and other health care providers in order to customize a care plan that will uphold the highest standard of quality care that our clientele deserves. 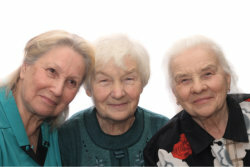 Lipet Home Care, Inc. is an equal opportunity provider and does not discriminate anyone. We do not turn our services away on the basis of gender, creed, nationality, color, race, ethnicity or sexual orientation. Our agency is always available to anyone who needs our services. If you have any questions or if you want more information, you may give us a call at 817-794-5959 for immediate assistance. You can also send us a message through our online Contact Us form.